Here’s an odd box of things left out on a rainy day. 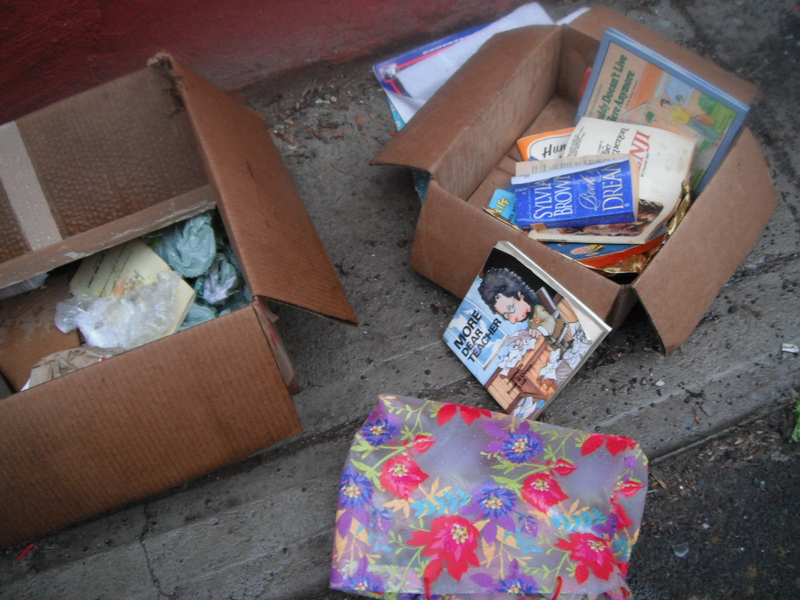 It looks already scavenged through, and the rain more or less ruined the books. One book is titled: “Daddy doesn’t live here anymore.” Looks like a book to help kids through their parent’s divorce. People just can’t be bothered to do that little extra and take their unwanted (but still useful) items to places like Goodwill and the Salvation Army, where they might be put to good use elsewhere. I despair at all the waste in our culture.